Passenger surveys show that apart from ‘dealing with delays’, and ‘value for money’ (which is probably in part linked to over-crowding), insufficient room to sit or even stand is the biggest sources of passenger dissatisfaction with the train service. As an article in the Sevenoaks Chronicle demonstrated, the inadequacy of seating, often arising from inexplicably short trains, remains a real frustration. The situation is not helped by reports that the Department of Transport (DfT) is intent on defining away the problem by relaxing its standards. The allowance for standing room is typically 35% of the number of seats based on 0.45m2 per person. For Southeastern’s class 376 Metro stock the standard is 0.35m2 per person. ‘Passengers in Excess of Capacity’ (or ‘PiXC’) is an overcrowding indicator established and monitored by the DfT. Under the franchise agreements between the DfT and the train operating company (TOC), the operator had an obligation to produce a Train Plan to demonstrate that it was planning its timetable and allocating rolling stock in a way that best reconciled its available capacity with passenger demand to keep overcrowding to a minimum. The standards set by DfT for PiXC were for loadings of no more than 4.5% above capacity for any one peak and no more than 3% above capacity across both peaks. No penalties were levied on operators which failed to meet these standards, however. The DfT now sets a variety of performance targets for individual TOCs. The DfT is currently considering how best to measure crowding for future franchises. The PiXC measure was applied to trains arriving in London between 7.00 am and 9.59 am and then again for trains departing from London between 4.00 pm and 6.59 pm. For journeys of more than 20 minutes, which should have covered all commutes using mainline services from Sevenoaks to London, capacity was defined as the number of standard class seats. For journeys of 20 minutes or shorter, an allowance for ‘normal’ standing room of around 35% of the number of seats (the exact figure depended on the type of train) was also added. Source: “Peak crowding and passenger demand” Autumn 2010, Office of Rail Regulation, August 2011 and earlier National Rail Trends Reports. Overcrowding at an acceptable level? As well as there being a trend improvement, the overcrowding data appear to reflect the economic cycle. The data for 2010 also reflect the introduction of HS 1 services. Until 2005, separate data were provided for Outer Kent (i.e. Mainline) and Inner Kent (Metro) services and in 2005 the Outer Kent morning peak figure (most relevant for Sevenoaks commuters) was in breach of the 4.25% standard. Unfortunately, these separate figures are no longer published. The Outer Kent data would have enabled us to track the impact of HS1 on the loading of Kent Mainline services. We remain sceptical of the way the data is compiled. For example, if a mainline train stops at Chelsfield, it is deemed to fall into the ’20 minutes or less’, ‘Inner Kent’ category, so its assumed capacity was increased by around a third because of the addition of the ‘acceptable’ level of standing room factor. In our view this treatment biased the results. Publication of the July 2011 figure for the RPI – which is the basis for regulated fare increases that take effect from January 2012 – has once again highlighted the impact of government policy on the cost of rail travel. Last year, Southeastern raised average fares by RPI + 3 percentage point. However, this average applied to both Mainline and Metro services combined. In fact as Metro services were subject to a RPI +2 percentage point formula, Southeastern raised average fares by much more on most Mainline services, some by as much as RPI plus 8 percentage points. Train Operating Companies (TOCs), such as Southeastern, are permitted to raise their regulated ‘farebox’ by RPI + 3 percentage points (about 8% from January 2012). However, the increase does not apply to actual revenue but to expected or ‘bid’ revenue (projected ‘real’ revenue agreed at the time the franchise was granted. adjusted for cumulative inflation since the beginning of the franchise). When – as in Southeastern’s case – actual revenue is below expected revenue, TOCs are entitled to recoup a proportion of the shortfall by raising fares by even more than 8% provided no individual regulated fare is increased by more than a further 5 percentage points, or about 13% in total. The remainder of the shortfall is paid to the TOC by the government through a revenue ‘support’ payment. Southeastern became eligible for revenue support from April 2010 and currently expect to continue to receive support payments (and to charge additional fare increases) for the remainder of their franchise which expires in 2014. For small deviations (up to ± 2%) no support or share payments are made. Where there is a divergence of between ± 2-6%, the shortfall or excess is shared equally. For shortfalls or excesses of more than 6%, the government contributes or shares 80%. In its Half-Year Report, 1 January 2011, Go-Ahead, the majority owner of Southeastern, refers to Southeastern as “being in 80% revenue support with Government since April 2010 and is assumed to remain in revenue support until the franchise ends in March 2014”. This implies that it expects Southeastern’s actual revenues to be at least 6% lower than bid revenues in each year for the remainder of the franchise. The chart below shows the relationship between the percentage shortfall (or excess) and contribution made (or received) by the government. If, for example, the shortfall or excess is 10% in total, the government contributes 52% leaving the TOC to recoup the remaining 48% through additional fare increases (or, in the case of a revenue excess, pays 52% of the excess to the government). An example (provided by Go-Ahead) of how share and support payments might develop over a franchise is given in the chart below. The blue line shows how revenue is expected to grow over the 6 years of the franchise (from £100 to £125). In the second year revenues prove to be more buoyant than expected (£108 as against an expected £105). Of this 2.9% excess, 2 percentage points is ignored and the remaining 0.9 % is shared 50:50 by the TOC and the government so the TOC pays over £0.45. After year 2, actual revenue grows more slowly than expected. By year 4 there is a shortfall of actual relative to bid revenue but this is not large enough to trigger a support payment. However, the shortfalls in years 5 and 6 are each sufficiently large to entitle the TOC to a payment. In year 5, actual revenue is £115 as against expected revenue of £120. This £5 (4.2%) shortfall attracts a support payment of £1.3 or 26% of the total shortfall. In year 6, an overall shortfall of £9 (expected revenue is £125 but actual revenue is only £116) triggers a payment to the TOC of £3.7, or just over 41% of the total shortfall. In those years the TOC would be permitted to recoup the remaining shortfall through higher fares. The support / sharing mechanism may not apply automatically each year. For example, during the early years of a franchise, the TOC may be required to bear all the revenue risk. In the case of Southern – whose franchise runs from September 2009 until July 2015 (but at the discretion of the Department for Transport may be extended a further 2 years) – eligibility for support payments only begins in September 2013, 4 years into the franchise. The support sharing mechanism is independent of the schedule of annual subsidy received / premium payments agreed with a TOC when a franchise is awarded. The chart below shows the contrasting positions of Southeastern and Southern. The former is in receipt of a (steadily diminishing) subsidy turning into a premium payment in 2014. Southern made a small premium payment in 2010 (premiums paid in earlier years have been much higher) but payments in future years will be significantly higher. However, while the calculations of subsidies and revenue support may be independently calculated, the overall net payment made by the Government to (or received from) the TOCs will reflect a combination of subsidies (or premiums) and of revenue support payments (or share payments) arising from the divergence of actual fare revenue. Rail passengers are currently caught in what can only be described as a stealth tax trap. With actual revenues likely to continue to fall short of bid revenues for several years to come, they are being asked to make up a big share of the difference through fare increases which for many will be well in excess of what most will understand by the “RPI + 3 pp” formula. It is as if they were being asked to pay VAT not on what they have actually spent but on what they would have spent had there been no recession. Moreover, unlike VAT (or other taxes) the “tax base” will not be at all obvious to the passenger/ taxpayer given the complexity of the calculation and the absence of sufficient public information needed to verify it. In other words, it offends most of the main precepts of a good tax system that would normally expect to be needed to win the consent of the taxpayer. That with bid revenue profiles now largely invalidated by the unexpected severity of the recession, all TOCs should be required to reassess their estimates of prospective passenger revenues over the remainder of their franchise and replace these with a more realistic profile. It is unacceptable that fare increases should continue to be based year after year on revenue projections that, through no one’s fault, have entered the world of never-never land. With reassessed bid revenues then bearing more relation to reality, divergences between actual and bid revenue would be reduced and as a result fare increases would correspond more closely to an RPI +3 pp formula which would be more likely to approximate actual revenues rather than some now unachievable target made to win a franchise several years previously. It should be emphasised that ‘RPI +3pp’ applied more closely to actual revenue would still represent a significant increase in real fares and so a contribution to the costs of new rail investment and/or a continuing reduction in taxpayer support for commuting. The process of re-estimation should be transparent so that rail users can have confidence in the calculations. Too often in the past legitimate enquiries about monopoly suppliers’ operations and performance are fobbed off by the DfT , ORR or by the TOCs themselves as being “commercially confidential”. If a TOC wins a monopoly position, it should expect much closer and more public scrutiny of its operations than if it were operating in a competitive uncontrolled market. Only then will public confidence in its activities be fostered and maintained. The SRTA has submitted a response to the KCC consultation on an integrated transport strategy for Kent “Growth without Gridlock”. Sevenoaks needs to provide an integrated transport service for its residents which will enhance environmental quality of life in Sevenoaks and has the potential to help address the important Air Quality issues arising from vehicle emissions at busy junctions. A Quality Bus Partnership is needed to enhance the present very limited services and begin to achieve the improvement seen elsewhere in Kent after adoption of such schemes. Real time bus information should be provided at Sevenoaks railway station to encourage bus patronage. Improved facilities are needed for pedestrians and cyclists especially around the bigger railway stations in the Sevenoaks area. Rail services, especially for commuters, are overcrowded. All peak trains must be of maximum length. Train services to Cannon Street giving access to the City and Docklands are essential to local residents. These services must be maintained for the future contrary to some proposals for service patterns post 2015. Completion of the Thameslink project in 2015 will open up major new journey opportunities. Two of the six services each hour off-peak on the SEML via Sevenoaks should run via London Bridge and Blackfriars. This will acquire even greater value with the completion of Crossrail in 2017 giving access to Heathrow and Docklands with just one change. SRTA asks KCC to call for a fast frequent shuttle service linking Gatwick Airport and Ashford thus providing a rapid east-west rail spine across the county. Why have fares increased so much? Prices of Southeastern’s regulated fares increased very sharply in January 2010, some by up to 12.8%, an extraordinary 8 percentage points (pp) more than the 12-month change in the All-items Retail Price Index to July 2009 which is used as a basis for increases. We knew that Southeastern were subject to an “RPI + 3pp” formula for regulated fares and were led to expect that the (weighted) average of regulated fares would increase by that amount. Yet it is now clear that “RPI + 3pp” is generally about the minimum increase for individual regulated fares this year, so the weighted average regulated fare rise this year will be considerably in excess of this. So what’s been going on? The SRTA Committee has had several contacts with Southeastern management who have provided some clarification. Our current understanding of the position is as follows. The regulated fare regime that applies to Southeastern and other Train Operating Companies (TOCs) is very highly regimented. The TOCs are permitted to earn revenues within a regulated “farebox” which is contained by a cap and collar arrangement (See Chart 1). If regulated fare revenue exceeds the cap, the excess is, in effect, taxed at 100% and is used by the Department for Transport (DfT) to reduce the passenger subsidy paid. If regulated fare revenues fall below the collar, the DfT is obliged to increase the subsidy. So the emphasis of the regulated fare regime is not on fares per se but on revenues (the product of fares and the number of tickets sold (volume)). Should revenues threaten to fall below the collar, then the TOCs are permitted by the DfT to increase fares (subject to no individual fare being increased by more than a further 5pp) to restore regulated revenue to the “RPI + 3pp” annual growth targeted for the regulated farebox. The farebox calculation is not linked to the actual level of passenger journeys. The recession led to a fall in train usage overall and thus to a marked slowdown in revenues (Chart 2). So fares are being increased, not just to compensate for inflation but for an unexpected drop in traffic. The logic of this remarkable arrangement (“what other private companies have their earnings underwritten during an economic downturn?”) is that were revenues to fall off not because of a decline in economic activity (which the TOCs cannot be held responsible for) but because of the impact of a rapid rise in fares, the TOCs would be able further to increase fares to compensate for the price-induced decline in revenue! Source: Office of Rail Regulation, National Rail Trends, Rail Usage, January 2011. Data are for franchised London and SE operators and include allservices (i.e. both regulated and unregulated fares). The arrangement is also symmetrical. Were traffic and regulated revenue grow faster than expected because of a strong economic recovery the â€˜RPI + xâ€™ formula will be moderated to put actual revenues back on target (See Chart 3). Rail travellers, who experienced what appeared to be a steady growth in rush-hour passenger numbers and overcrowding during much of the 2000s until the onset of the recession, yet also saw their fares being regularly increased each year, may be highly sceptical. We do not have access to Southeasternâ€™s numbers to verify the symmetry. However, there is some indirect evidence in that regulated fares for London and South Eastern operators collectively were roughly the same in real terms in January 2010 as they had been in January 1998, although the â€˜RPI +xâ€™ formula applied throughout that period. In fact, they fell in real terms between January 1998 and January 2003 before rising 8.9% between January 2003 and January 2010 (Chart 4). In theory, rail traffic and revenues could also expand, not because of a general strengthening of the economy but because of the efforts of Southeastern to improve its service to passengers. However, rather than being rewarded for this, Southeastern would find its ability to increase fares thwarted by the farebox mechanism. The current (dis-) incentive structure seems to leave a lot to be desired for both train users and operators! Position of DfT: A conflict of interests? You might ask, isn’t the DfT conflicted? On the one hand it has a responsibility to rail users to ensure they are not exploited by, in effect, a monopoly supplier of train services. On the other, they have responsibilities towards taxpayers to ensure that the level of subsidies paid reflects government policy. Unfortunately for rail users, it is pretty clear which group has priority within the DfT as successive governments have been committed to reduce the subsidy to rail transport. In FY2008-09, the latest year for which data on subsidies are available, Southeastern received £35.6 million of a total of £254.7 million net amount paid to all operators. This represented a subsidy of 0.9p per passenger kilometre. The highest subsidy paid was £224 million to First ScotRail (or 8.6p per passenger km). On the other hand National Express East Coast paid the DfT £184.9 million t (a negative subsidy of minus 3.9p per passenger km). So there is considerable cross-subsidisation between TOCs, with generally lesser-used services in the remoter parts of the country receiving funding from more populous regions / busier routes. There are several details which remain unclear. For example, the regulated farebox was expanded with the introduction of High Speed 1 (HS1) and there are suspicions that a slower than expected take-up of HS1 is one reason for the very sharp rise in Southeastern fares generally. The farebox is not divided into service sectors, it is just an aggregation of all income. It also appears that the RPI formula which applied to TfL area services operated by Southeastern was more favourable (RPI +2pp) than that which applied to other Southeastern services. In effect, users of Mainline services have been required to subsidise users of TfL Metro services. For example this is how the Office of Rail Regulation ambiguously describes the regime in its National Rail Trends Yearbook 2009-10. A useful description of DfT’s approach to regulated fares from January 2004 is attached as an appendix to this paper. Since December 2009, a high speed domestic service operating on the Channel Tunnel Rail Link (CTRL) between London St Pancras, Ashford and the Kent coast, has been operating. Southeastern claim that a commute from Ashford International to London takes just 37 minutes – against an average Mainline journey time of 1 hour and 20 minutes. Journeys from the Kent coast at Folkestone are expected to take 61 minutes rather than the 98 minutes. HS1 is being promoted as a solution to many of the overcrowding problems that now beset commuters on the existing mainline services up from Ashford via Sevenoaks. However, at best we believe it will divert only around 2,300 passengers who would otherwise be using the current main line services calling at Sevenoaks. Over the last 5 years, the number of passengers travelling from Sevenoaks to London in the morning peak has risen by 19%. 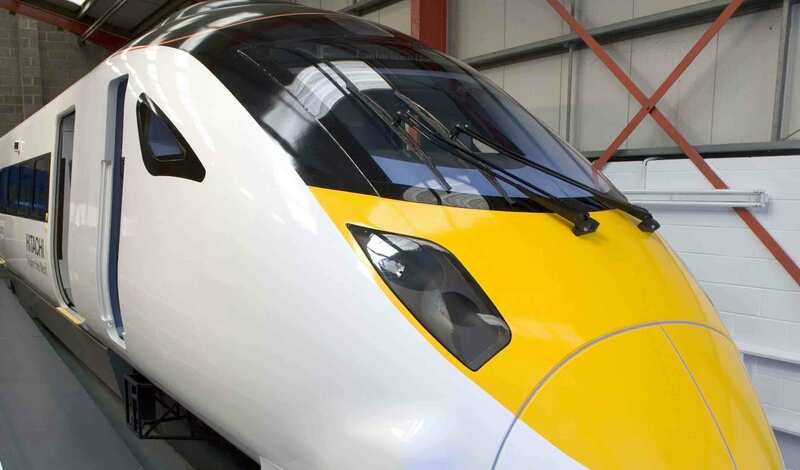 We believe that the additional seating capacity which will become available on the existing mainline as a result of HS1 services will provide only a temporary respite, and the much of the benefit could be eroded by the premium on fares that will be charged for travelling on HS1. In a paper submitted to the KCC Select Committee on the CTRL domestic rail services, SRTA also argues that if HS1 is to be used to its full potential, improvements in the connections at Stratford for Docklands are needed. Network Rail’s work on the Kent RUS commenced in January 2008 and a scoping document was published February 2008. The RUS consultation paper explores various options to address future increases in demand but the long-term solutions proposed as they affect Sevenoaks commuters are, to say the least, unpalatable. The additional mainline capacity proposed would be available only after 2019 and then only represent the equivalent of the next 5-years’ expected growth in numbers. And what’s worse, other changes proposed would represent a major reduction in the standard of service, particularly for travellers to the City. The 3-year rebuilding of London Bridge station beginning in 2012 is likely to cause massive disruption. And on completion of this work, the RUS envisages that there would be fewer high peak trains per hour and these would stop at Orpington and most at Chelsfield. There would be an ending to the current 3 trains per hour mainline peak services to/from Kent into Cannon Street for the City, these services being replaced with only 2 trains per hour into Blackfriars or Farringdon via Thameslink. In its response to these proposals the SRTA is critical of the absence of any substantive proposals to address capacity constraints on routes into London and its terminus stations, and the bottleneck on the two-track section between Orpington and Tonbridge. Neither does the RUS attempt to address shifts in user travel patterns (including the switch to Docklands and east London) that could be tackled by by-passing London Bridge. We also question the claim that there is insufficient demand for rail access to Gatwick from Kent. Since June 2005, Network Rail has been required to publish Route Utilisation Strategies (or ‘RUS’) for its different regions. These look at future rail infrastructure needs up to 30 years ahead. Stakeholders, such as the SRTA and other passenger groups, are able to participate in this planning exercise by submitting ideas on future services. There is a substantial unmet demand for services to new destinations, specifically Docklands, St Pancras International, Ebbsfleet and Gatwick Airport. The twin track section between Tonbridge and Orpington is acknowledged as one of the worst capacity bottlenecks on the South East Main Line But despite this, many thousands of empty peak time seats are run between Sevenoaks and Orpington every day. Improvements to the Maidstone East line would encourage more commuters to use their local stations, helping to re-balance demand and take some of the pressure off Sevenoaks. The SRTA’s submission to Network Rail suggest several ways these problems can be addressed. And at our Annual Meeting in October we had an opportunity to impress upon Southeastern Trains the need to look at the available options in an imaginative and innovative way. Also of relevance for us is the RUS for South London which was published in March 2008. For our views on the impact on Sevenoaks trains of High Speed 1 services which are due to commence in December 2009, click here.